FORMER Finance Minister Tendai Biti has hit out at successor Patrick Chinamasa for allegedly failing to detect the real causes of the country’s economic catastrophe when presenting in his mid-term fiscal policy review statement last Thursday. 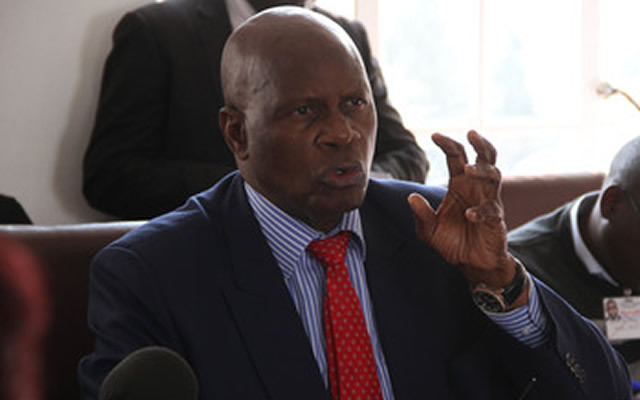 In the statement, Chinamasa revised the country’s revenue projections for 2015 to $US3,6 billion, down from $US3,99 billion while estimating government expenditure to hit US$4,1bn by the end of the fiscal year. The downward revision followed tax collector, ZIMRA’s continued failure to match revenue collection operations to figures targeted by government. However, Biti on Monday warned of a further slump in official projections due to the current wave of job cuts ignited by last month’s Supreme Court ruling. “If they could not meet $US4bn and they revise the budget to US$3,6bn, with the illicit retrenchments, I do not think they will even meet even US$3bn by the end of the year,” Biti told journalists in Harare. At least 12,000 workers are said to have been booted out of their jobs in a space of two weeks. Because of the scarcity of disposable income in an increasingly jobless population, Biti said, government de’ facto cash cow, VAT, has also collapsed significantly, leaving the state clinging to thin revenue generated through PAYE. Biti added: “What you are going to see now is a serious bind where revenue will have to be revised downwards from $US4bn to US$3,6bn and in my estimation, US$2,8bn yet the expenditure lines remain the same. Biti predicted a further shrink in government revenue forced by Chinamasa’s unpopular ban on some second hand imports which had proved a huge relief for the struggling poor. He also condemned the removal of blankets and groceries from travellers’ rebates adding this will ignite food shortages in the country. The MDC Renewal official chastised Chinamasa for celebrating and linking the fall in month on month inflation to “self-correcting measures” and yet this was because locals were short of disposable incomes. In his 2015 budget, Chinamasa pegged the country’s economic growth rate at 3,2 percent but revised it down to 1,5. But Biti said the country’s economy will in fact shrink to between -0,8 and -2 per cent in 2015 due to government’s continued poor decision making. He described Chinamasa’s mid-term review statement as “mediocre, mendacious and incompetent”, adding, its having been presented exactly two years after the 2013 elections were rigged was in itself a failed attempt to rig the economy.